Large volume control knobs for easy usage and high visibility even in dimly lit rooms. Mixer stands vertically for easier access. Unparalleled audio quality in its class. 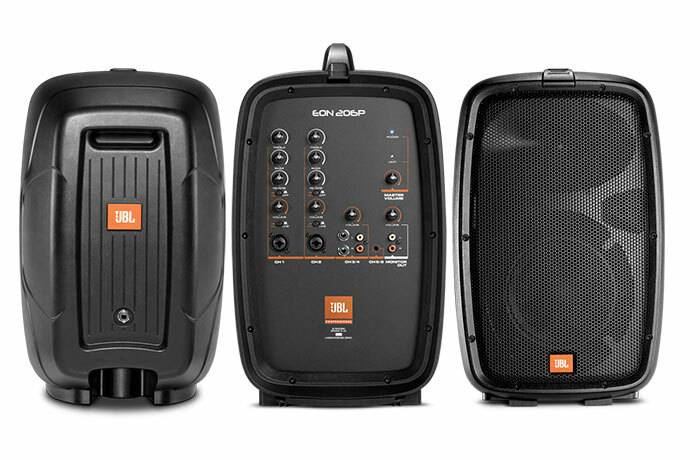 JBL heritage loud speakers deliver their legendary sound. 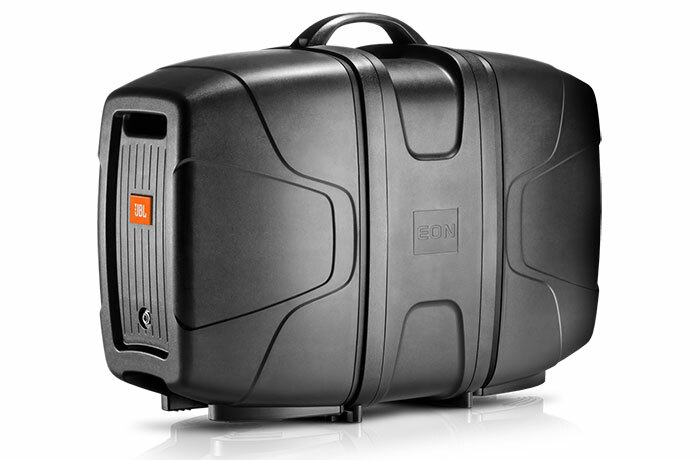 Ergonomic design makes the EON206P easy to carry, travel, setup and store. The EON206P is light enough to carry in one hand. 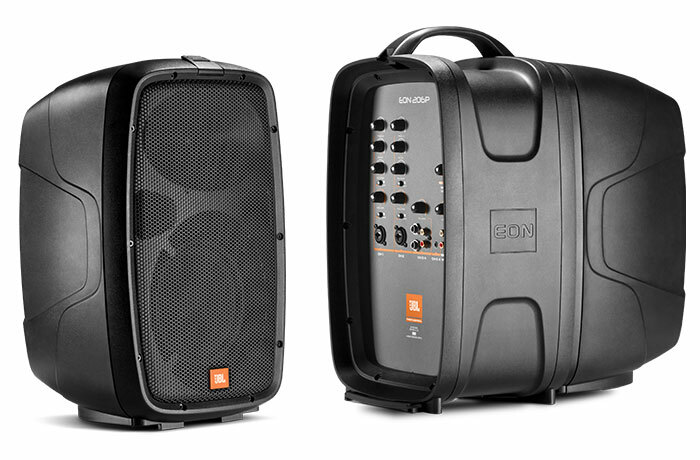 The powered mixer panel and dual full ranged speakers, combine to form a convenient suitcase-like package. Complete with power and connection cables that go into their own storage space designed to neatly tuck them into when your done. Weighing in at only 25lbs, anyone can juggle an instrument and our personal p.a. system at the same time. 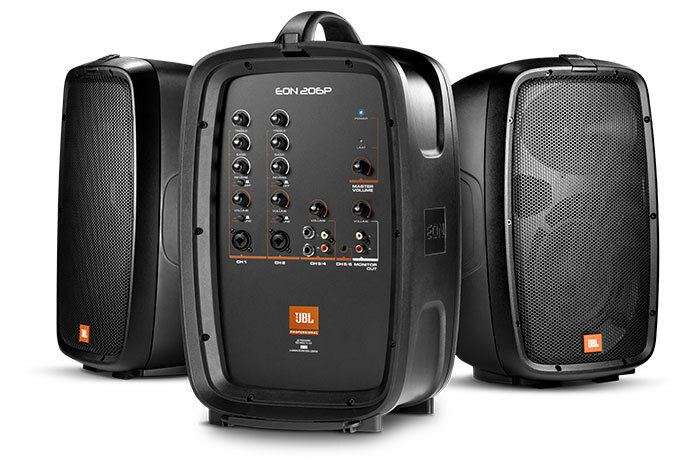 Perfect for cafes, parties, churches, conferences, small groups and more. The attached mixer has 6 inputs: 2 mono inputs comprised of a combination input connector, MIC/LINE selector, Treble and Bass controls, Reverb and channel volume controls. The 4 stereo inputs are where you can connect all of the microphones, musical instruments and external sound sources (like MP3 or CD players). The stereo inputs labeled “CH 3/4” offer the option of using RCA with a volume control. The input labeled “CH5/6” is a 3.5 mm stereo input of the type typically found on personal music players. 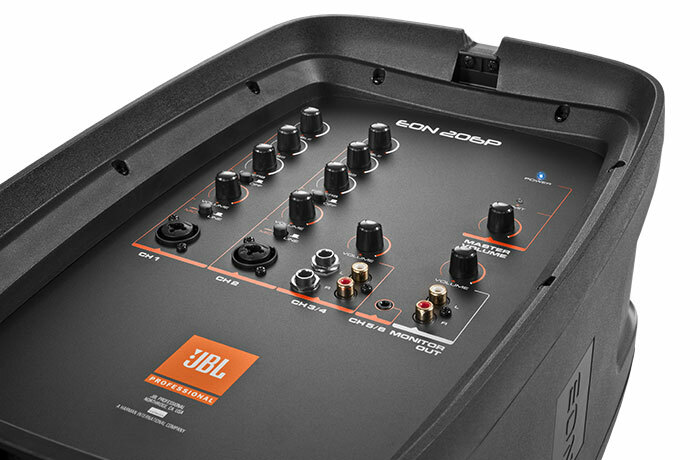 The “Monitor Out” enables sourcing to recording devices, additional powered speakers or mixers via RCA connectors.